Creating modern and tasteful flat or house requires a bit of effort while arranging and decorating. There are few proved methods that will let you achieve this effect without much trouble. 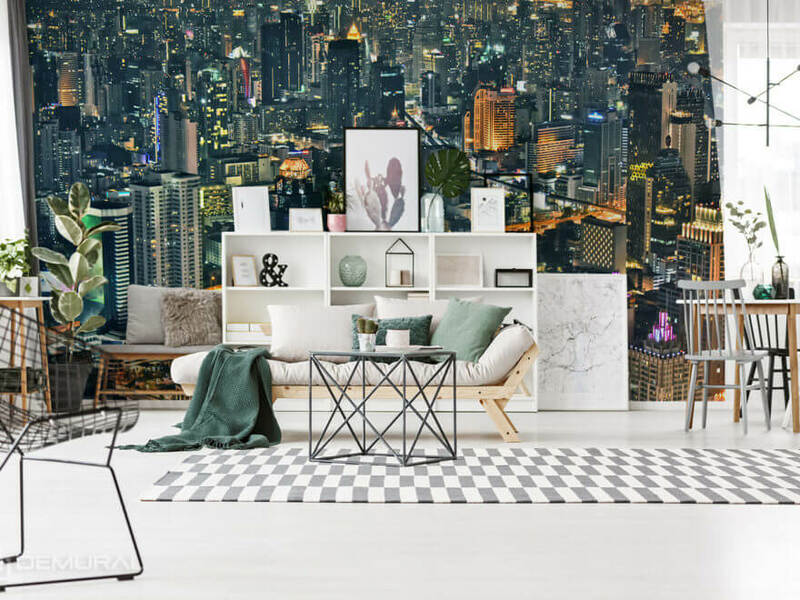 If your aim is to create a tasteful space that will be also cosy and friendly, it is worth trying the urban themes on the wall. Maybe you wonder what aesthetic qualities can an urban image provide in a living room, dining room or a bedroom. 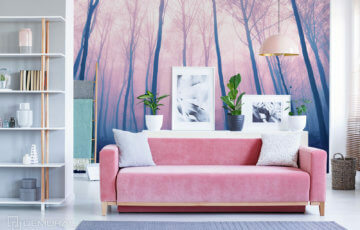 A well adjusted photo wallpaper will be a real decoration of a given room. In order to properly adjust the urban themes to the existing or just created arrangement, you should know some simple tricks. It is important where you want to locate your photo wallpaper. If it is to be placed in the living room? You can try a bit of craziness when it comes to the colours used. The living room or dining room are places where we spend time during the day and in the evenings. So it is worth making them look not so gloomy and packed. That is why the best would be the lightly coloured urban panoramas that present the light, daily urban landscapes – e.g. the sunny landscapes of the cities located by the river or a lake. On the other hand if you have such furniture (e.g. 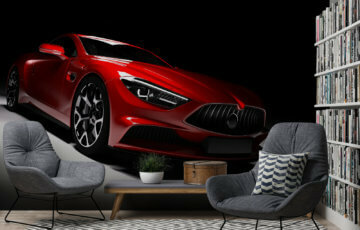 yellow, vivid couch) or numerous colourful additions, you can try the black-red photo wallpaper that will add some freshness to a room and will not create chaos in the arrangement at the same time. 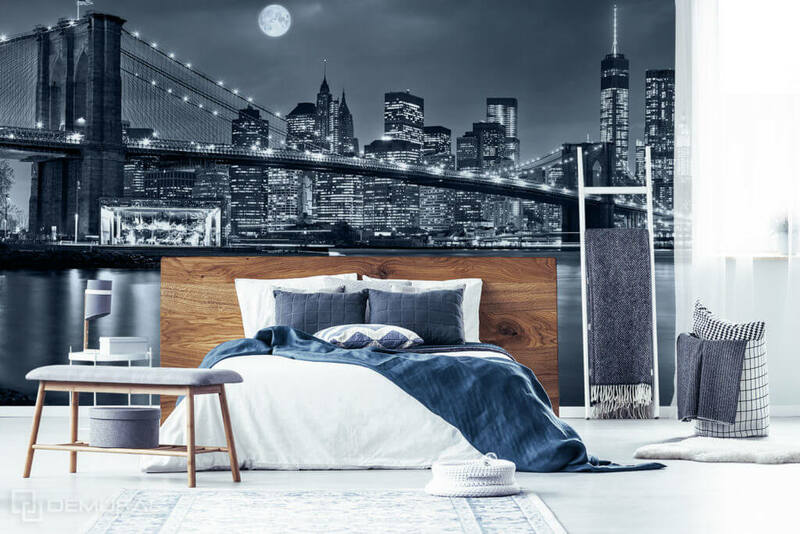 If you would like to use the city photo wallpaper in the bedroom, you should adjust its colours to the character of the room. Remember that it is the place where you relax after the day. That is why it should not be filled with visual distractions. It also concerns the photo wallpaper. The colours of the bedroom in the toned, even the darker shades, will help creating the atmosphere of relaxation. Without any problems you should find a photo wallpaper with an urban theme that will meet those requirements. For the bedroom you can choose photos of the city by night, the urban panoramas with a glowing moon or at sunset. They usually have toned, purple-blue colours and they stylistically match the character of the bedroom. Now you already know how to choose the photo wallpaper with an urban theme. It is time to adjust them to the size of the room. The rules are quite simple. For the light, spacious room you can use most of the themes because they are not overwhelming visually. In the smaller rooms you have to choose the shorter walls for a wallpaper. The big-scale photo can optically decrease the room. 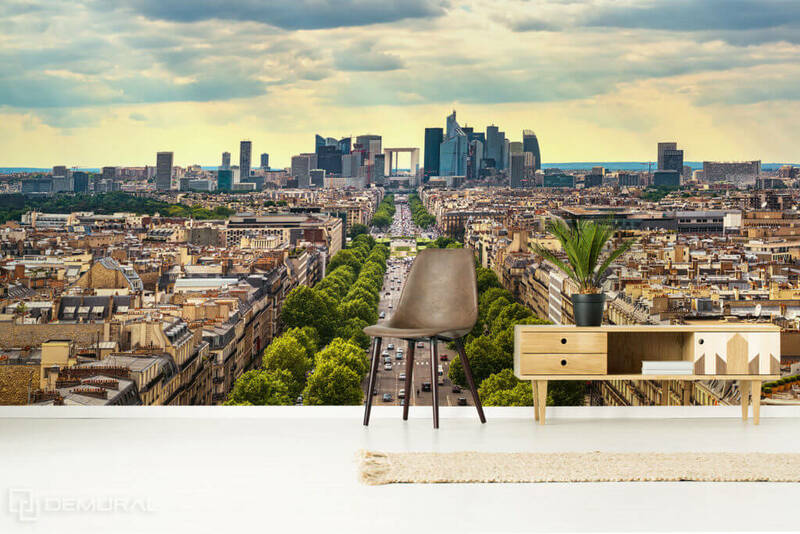 When you decide on the photo wallpaper with city in the smaller room, limit the number of furniture and additions. It will let you build a coherent, attractive visually wholeness. 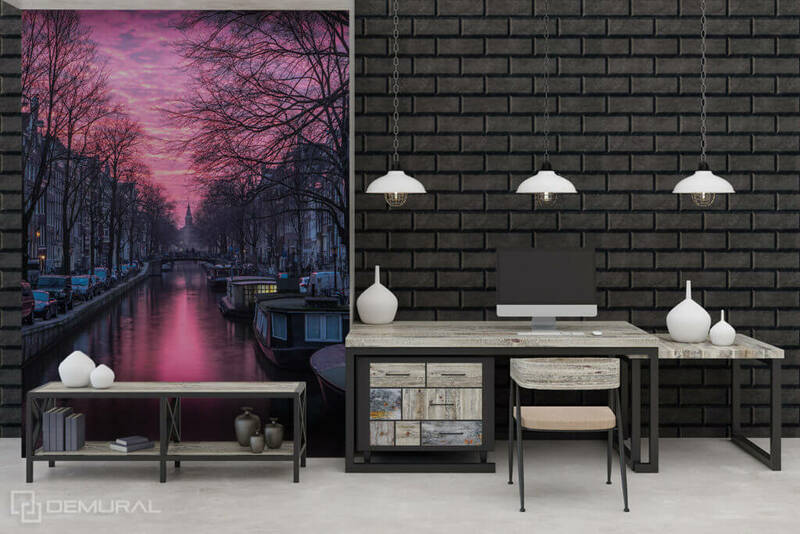 As you can see, the urban theme on the photo wallpaper can be adjusted to any type and size of the room. By following the rules above. You should choose the wall theme without any problem and the effect will enchant you and will highlight the strengths of a given room.